Rising incomes have fuelled consumption and, implicitly, the economic growth in recent years, but not the savings. Although a large proportion of the population is concerned about the living standards, too few choose to allocate a percentage of their income to long-term savings and/or investment. 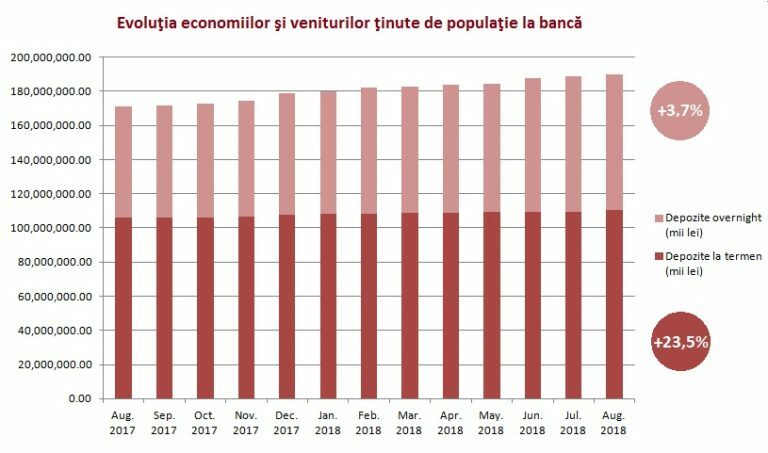 Fixed-term deposits, the most widespread form of saving at the national level, recorded an advance of only 3.7% in August, compared to the same period last year, according to data from the National Bank of Romania (BNR), while “overnight” money and overnight deposits that include the salaries paid by most employers on the card, increased more than six times faster, by 23.5 percentage points. This evolution indicates that the growth rate of the effective savings was far below the income growth rate. Data is all the more worrying as we extend the interval analysed. From August 2016 to August 2018, revenues in current accounts grew by 64.6%, while the fixed-term deposit balance had an advance of only 4.5%. Additional incomes were mainly allocated to other expenditures. For example, average budgets for holidays abroad have doubled. Last year, Romanians spent EUR 3.1 billion on holidays spent outside the country, by more than one billion above 2016, according to the central bank’s data. In fact, consumption has steadily increased over the past three years and continues to advance, although at a slower pace. Retail sector turnover, the most accurate indicator for the evolution of private consumption, grew by 6.5% in the first eight months of the year, compared to the same period of the last year (seasonally adjusted series), according to the data of the National Institute of Statistics. Non-food products were the growth driver, with an advance of 7.9%. 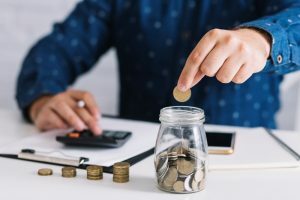 23% of Romanians admit they have no savings, while 77% say they are concerned about the family’s financial future and choose to save especially for “hard times” or for significant and unexpected future expenses, according to a study by OTP Bank Romania on Romanians’ financial behaviour. More than half of respondents said they are most concerned about personal finances, living standards when they retire, savings and long-term investment. Although, almost half of the participants in the study admit they have not been interested in pension placements over the past two years. For example, despite the changes applied to the pension system, which allows taxpayers to save extra money for old age, fewer than half a million people chose to place money on Pillar III. Net assets of facultative private pension funds (Pillar III) reached RON 1.9 billion (EUR 0.4 billion) at the middle of this year, up 13.3% compared to June 2017, according to the Financial Supervisory Authority (ASF). Despite the positive developments (most likely driven by the wage packages offered by more and more employers that include private pension accounts and the uncertainties about the future of Pillar II mandatory private pension), Pillar III assets, to which taxpayers participate voluntarily, are 23 times lower than those of Pillar II, to which 3.75% of the monthly gross income is automatically directed. In June, the number of participants in Pillar III was about 459,000 taxpayers, compared to 7.1 million participants in mandatory private pension funds, shows ASF data. Low appetite for bank deposits can be partly explained by the very low returns offered by banks in recent years, marked by an excess of liquidity and low interest rates. On the other hand, the penetration rate of other saving and investment instruments, with higher potential in terms of yields, is extremely low at the local level. Mid-year, total assets of investment funds amounted to just above RON 41 billion (EUR 8.8 billion), down 5.7% compared to the end of last year. The most significant investments were attracted by common funds (almost RON 21 billion, EUR 4.5 billion respectively). The number of individual investors in these funds also recorded a decrease, from 315,840 at the end of 2017 to 303,583 in June 2018. Apart from the long-term disadvantages caused by the lack of healthy saving habits, the latest data on the evolution of household spending should already trigger alarm signals. Total household expenditures in Romania increased in the second quarter of this year at a higher rate than in the same period of previous years. The growth rate of expenditures was 27.2%, compared to only 24.7% in the incomes, a sign that the population became accustomed to an extra consumption that exceeds what they produce more.